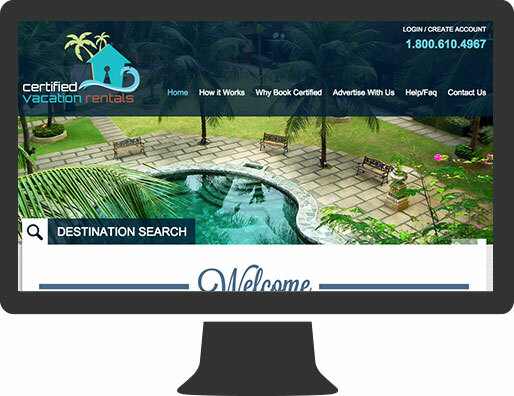 Certified Vacation Rentals (CVR) is a website that lists vacation rentals that have been inspected in person by a registered Certified Vacation Expert (CVE) to verify each listing and audit the conditions of the property to ensure that it matches the description. 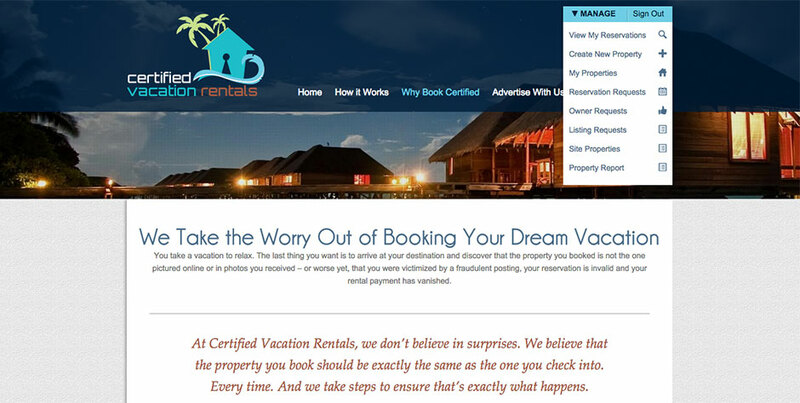 Certified Vacation Rentals takes the guess work out of renting a vacation home so that their customers can rent properties online without having to worry about any unwanted surprises. CVR contacted us while the company was still just an idea. They needed a website that not only had elegant design, but also contained advanced functionality. 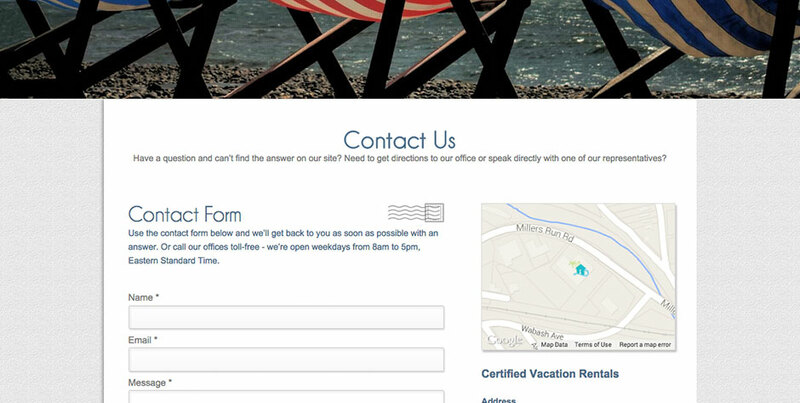 CVR needed a website that would allow customers and vacation property owners to sign up for accounts. When logged in, the property owners would need an area to manage their properties and edit the content of their listings. The property availability calendars also would be needed to sync with the owner’s listings on other websites to ensure that properties would never be double booked. 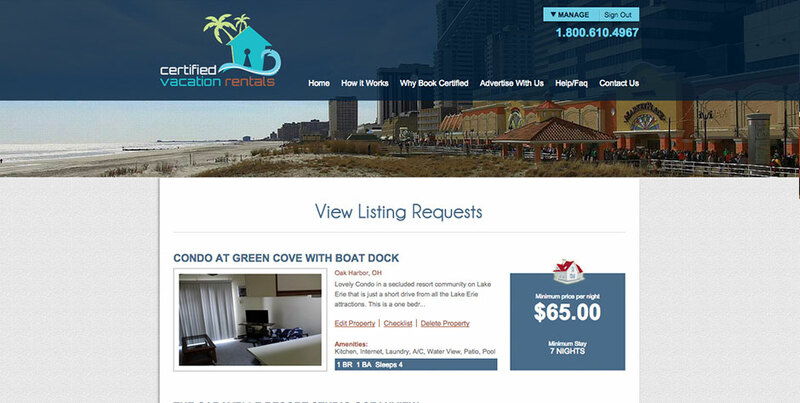 Certified Vacation Rentals was built from scratch using all customized web development. CINTACS was able to complete the project with all of the functionalities that they requested. Upon completion, CVR was able to successfully launch their new business and capture customers with their new website.